JCPenney, the once-dominant American retail chain that has taken steps to right itself after a series of missteps in recent years, has chosen a new creative agency to lead its revival. After two years with MDC Partners' Doner Detroit, the account went to Dentsu's mcgarrybowen without a formal review, and the agency will handle the business across its offices in New York and Chicago. The client positions the change as a strategic move toward growth after a period in which its marketing efforts focused on overcoming recent challenges. 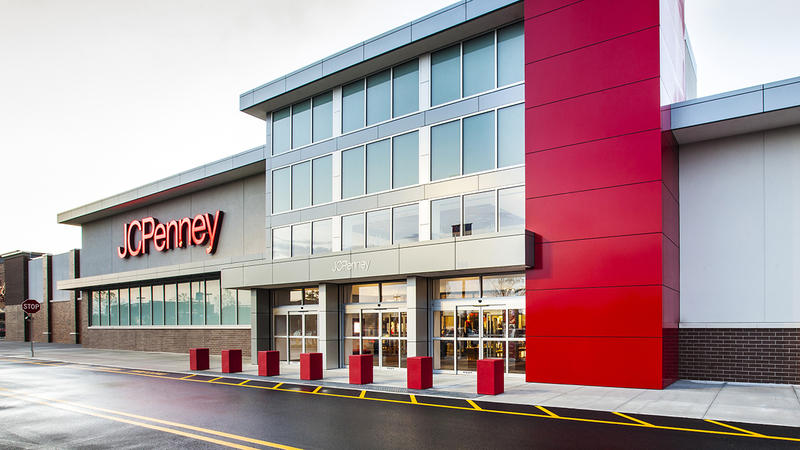 A JCPenney spokesperson told Adweek, "After thoughtful consideration, JCPenney has decided to end its relationship with Doner as its advertising agency of record." The client went on to praise the MDC shop's work, noting that "for the past two years, Doner has played an integral role in helping us reconnect with our customers as we stabilized our company. As we look to the future, we feel now is the appropriate time to make a change in agency as we build on the momentum of our resurgence and shift our marketing focus from stabilization to growing our business." JCPenney went with a trio of new agencies in October 2013, only six months after it had hired Young & Rubicam, picking Doner as its creative lead and naming the newly independent EVB and Havas' Victors & Spoils to handle its digital and social media accounts, respectively. The client moves forward with a clean agency slate: Its digital and social media accounts will now be run by Narrative, the New York agency launched by Def Jam's Russell Simmons in 2013. Y&R was the shop in charge when JCPenney shifted its focus after moving away from its famous markdowns under then-CEO and Apple veteran Ron Johnson. The 2013 review followed the departure of Johnson, who was replaced by his predecessor Mike Ullman, and subsequent campaigns re-emphasized the chain's roots as a provider of low prices on apparel and home goods. The client spokesperson said, "We would like to express our deep gratitude to Doner for the incredible work they provided JCPenney during a crucial time for our company." In an internal memo acquired by Adweek, Doner's co-CEO David Demuth defended his agency's work, citing "six quarters of same-store sales growth, reversing the nine consecutive quarters of sales decreases" since Doner took over the account. He added that the client also had "the top-rated campaign on the 2014 Oscars broadcast." The new business marks a needed win for mcgarrybowen, which ceded its lead creative status on the branding and strategy portions of the Verizon account to Wieden + Kennedy in 2014 and also lost the Chase business to New York's Droga5 earlier this year. Tim Scott, the agency's international CEO and president of its Chicago office, left in April to accept a new position as svp and chief marketer for butter brand Land O' Lakes. In response to the win, mcgarrybowen New York president and chief client officer Simon Pearce tells Adweek, "Collaborating with marketers to build iconic brands has been at the core of what we do at mcgarrybowen, since day one. JCPenney is a great American brand with a powerful heritage and an exciting future. We couldn't be prouder to partner with JCPenney, as they continue to take their brand and business to the next level." A spokesperson for JCPenney, which made headlines this week by launching a menswear line created by Michael Strahan amid a renewed focus on middle-income shoppers, says, "Mcgarrybowen has a proven track record of building great, iconic U.S. brands and we are excited to have them on board. The agency has already begun working on our 2016 spring marketing plans."